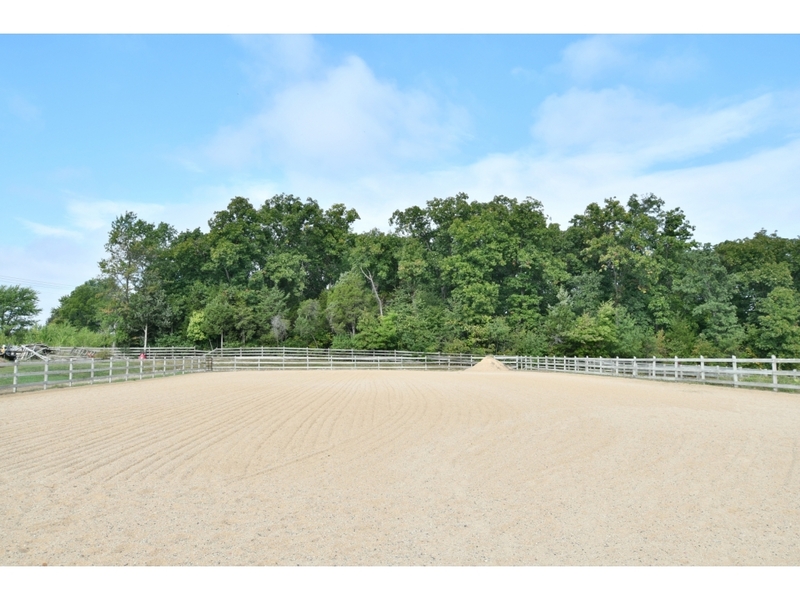 Income producing boarding/training stable for sale in Foristell on 30+/- acres. Off paved road w/road frontage to 2 county roads just inside Warren Co lines. 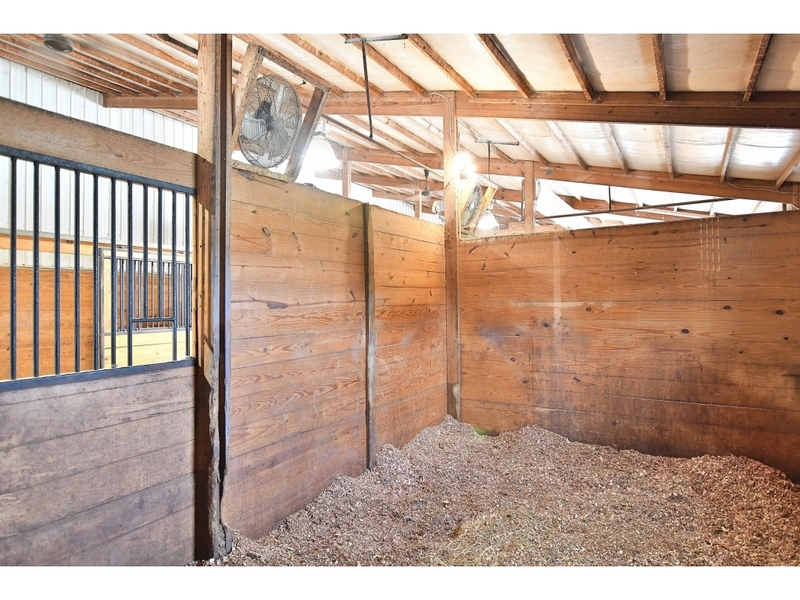 Amazing horse property w/gated entry & completely fenced. Over 20,0000 sf building houses 23-30 stalls separated by 115x72 indoor arena w/ GTE dust free footing, bay doors, kickboards, sprink system. 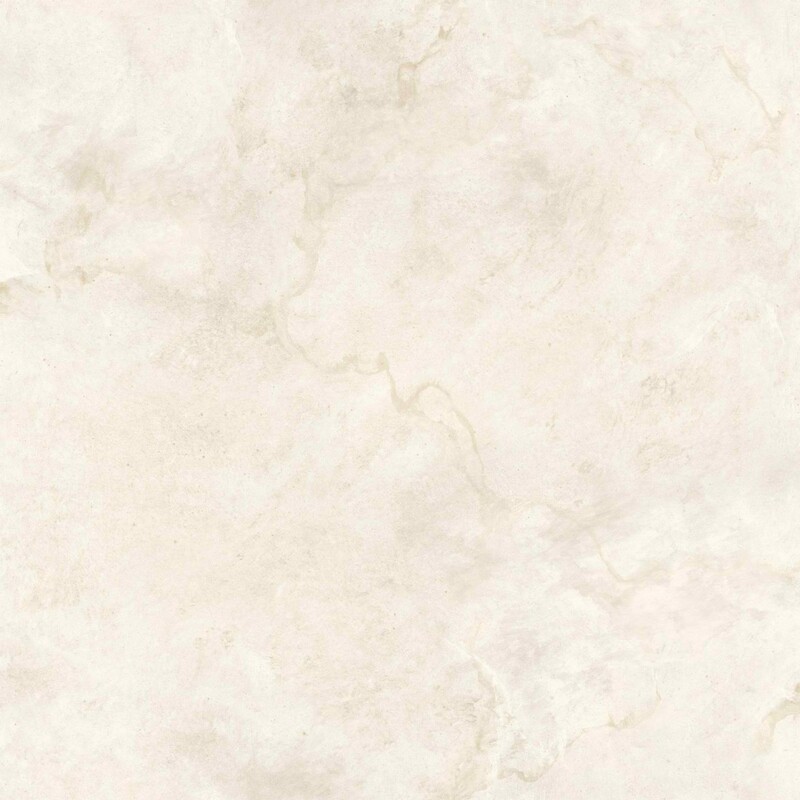 Wide heated Aisleways. 2 wash stalls, laundry rooms, tack rooms & feed rooms allows for the option of 2 trainers working in one barn only sharing arena & lounge space. 900 sf apartment has 2 bedrooms, 2 full baths, laundry, kitchen, family room. Lounge is 900’ sf including an office and gathering area with ½ bath and kitchen. Outdoor arena is 100x200 with lighting, great footing & drainage. 6 dry lots, 4 with run-in shelters, 15 grass pastures w/wood fencing & heated auto-waterers. Outbuilding stores 1500 bales of hay, 30x25 Lean-to for tractor, mower, equip. Plenty of extra space for storing. 10 acres with pond has perfect home site! Off county paved road with road frontage to 2 county roads and just inside Warren County lines. Amazing horse property with gated entry completely fenced. 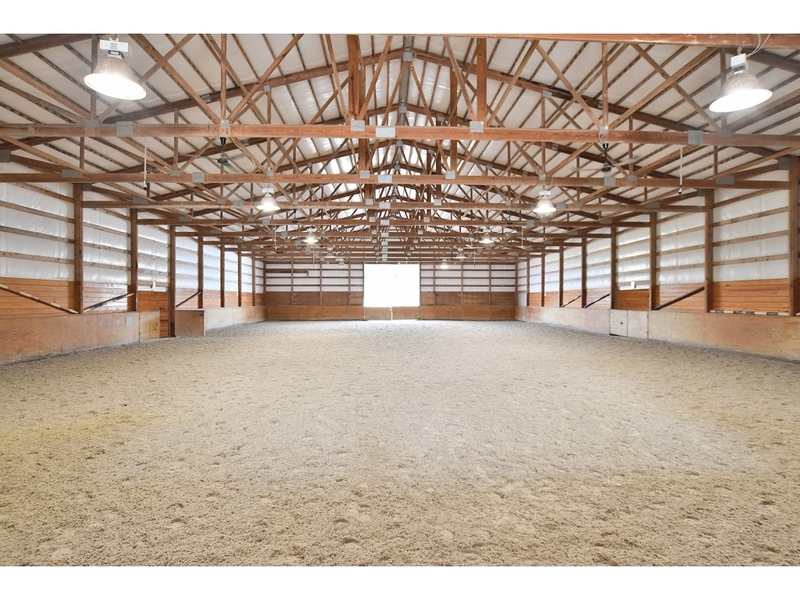 Over 20,0000 square foot building houses 23-30 stalls separated by 115x72 indoor arena with GTE dust free footing, bay doors, kickboards, sprinkler system, fans, vents. 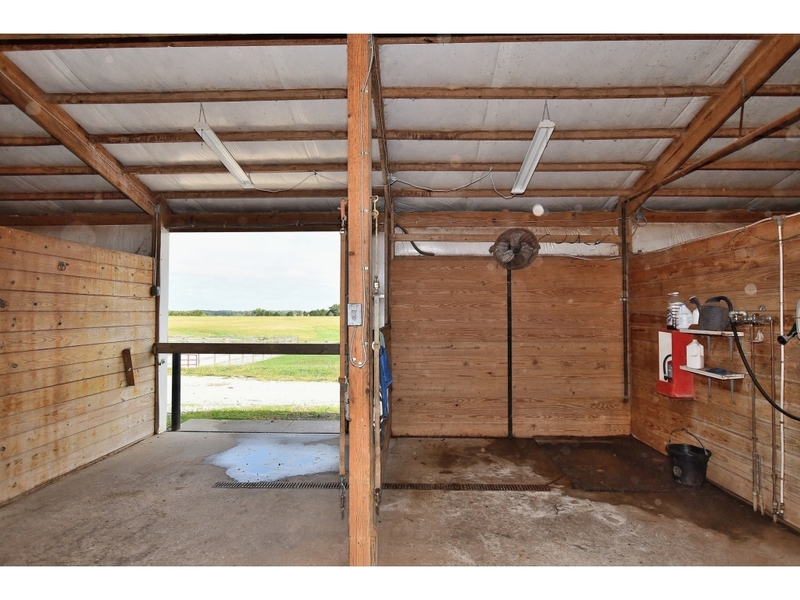 Aisleways are wide and can be shut off to heat the stabling area, 2 wash stalls, laundry rooms, tack rooms, and feed rooms allows for the option of 2 trainers working in one barn only sharing arena/lounge space. 900’ sf apartment has 2 bedrooms, 2 full baths, laundry, kitchen, family room. Lounge is 900’ sf including an office and gathering area with ½ bath and kitchen. Outdoor arena is 200x100 w/ lighting and great footing and drainage. 6 dry lots, 4 have run-in shelters, 15 grass pastures with wood or vinyl fencing and all with automatic heated waterers. Outbuilding stores 1500 bales of hay, 30x25 Lean-to houses tractor, mower equip. Plenty of extra space for storage of gates, blankets, buckets etc. Just outside St. Charles county and in warren county lower tax rate and restriction.